Atlanta Light Bulbs carries a wide array of lighting products from over 100 manufacturers, from brand names to economical brands. We stock every type of lighting technology, including lighting controls, ballasts, incandescent, halogen, fluorescent and the latest in cutting-edge LED lighting solutions and smart lighting. We're here to help! If you are in need of specialty lighting, our knowledgeable experts can help! Attention electricians and lighting contractors: We carry commercial lighting fixtures, replacement sockets, ballasts and LED bulbs. 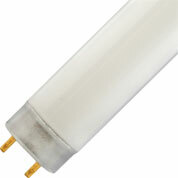 We're available to help you satisfy specific requirements for your next lighting retrofit. Just tell us your light tones, energy requirements, lighting purposes, and environments and we'll take it from there. We're your trusted resource in lighting! Since 1981, our main focus has been to grow our business by being your #1 trusted source for lighting. Today, we continually strive to find the best talent to support your needs and hold our vendor partners to the highest standards. Atlanta Light Bulbs prides itself on keeping a diverse product offering of LED lighting solutions, various light bulbs, drivers and ballasts, commercial lighting fixtures, and more from brands you can trust. Our goal is to grow our relationship with each and every client using our extensive and granular knowledge of lighting. This is a value that we give to you free of charge. Our highly knowledgeable experts are more than competent in lighting energy analysis, energy efficient lighting, LED lighting retrofits and the latest in the world of lighting. Our family owned and operated company takes great care to function as a respected resource in our field. We financially support the Atlanta Better Business Challenge, and we are members of the National Association of Independent Electrical Distributors, SouthFace, the Cox Family Enterprise Center, the Building Owners and Managers Association, the US Green Buildings Council, and Green Chamber of the South. We are also certified Lighting Specialists (LS-1) by the NAILD, we are partnered with Energy Star, and we involve ourselves in many other respects with the industry and with the community. Browse our huge inventory of incandescent bulbs, halogen bulbs, LED lighting solutions, ballasts, commercial lighting fixtures, and other lighting products. If you have a specialized task that you need expert assistance with, please give us a call at 1-888-988-2852. We want to make sure you can take full advantage of one of the most robust and highly regarded lighting resources in the industry. Shop for your lighting needs today! Most products come with a stated manufacturer’s warranty. Learn about our peace of mind buying experience. Questions? Our awesome customer service team is here to help. Chat, Email or Give us a Call!